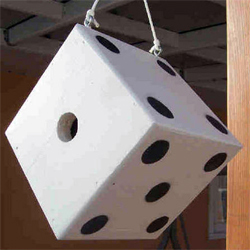 This simple, but striking birdhouse is sure to attract some attention hanging in your garden. sswoodcraft shares with us that cardboard stencils are the trick to creating this fun design. Make one for your feathered friends today! this is extreme creative and cool.